I love a little mental vacation! 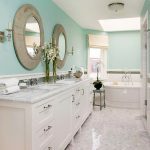 This soothing spa-like bathroom designed by Carla Aston, an interior designer out of The Woodlands, Texas is just the ticket! The homeowners wanted something modern that you’d expect to see in a boutique hotel suite, but at the same time uplifting and fresh. 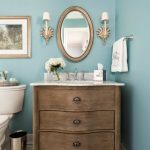 The paint on the walls (Sherwin-Williams Sea Salt) and the shimmery mosaic tile are so pretty here, but I love all of the simple, clean lines too. The details are great, like the shampoo niches and and spot for the basket by the tub (the cute pup agrees!) You can read all about the space photographed by Miro Dvorscak and see before-n-afters over right over here! 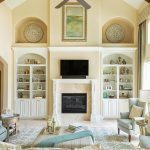 OTM Designs and Remodeling Inc. Thanks so much, Erin, for featuring my project! Your blog is beautiful! Beautiful! So fresh…I love that paint color! 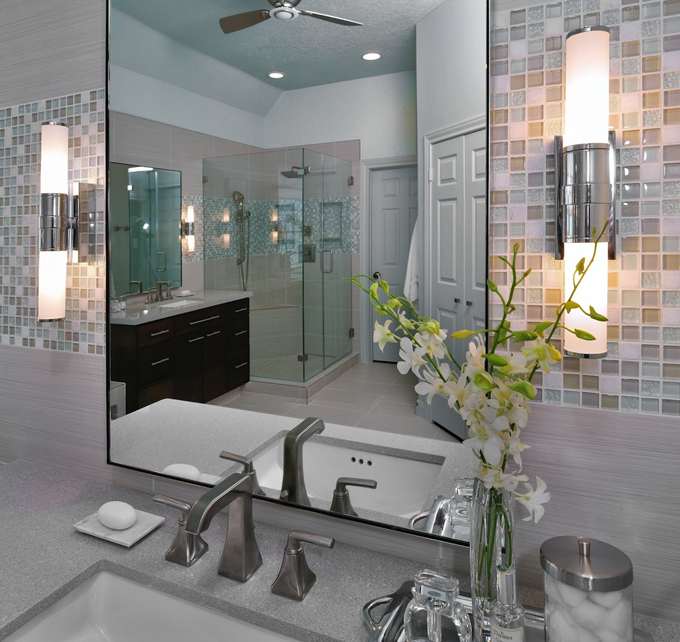 This is a beautiful bathroom! 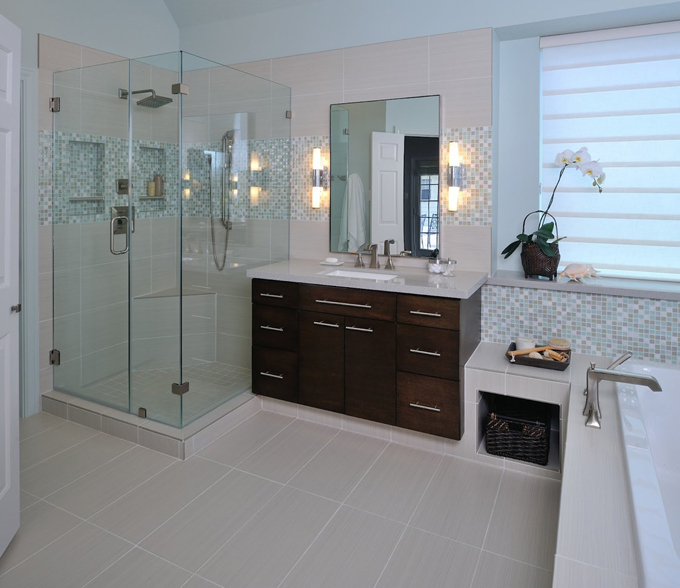 Decorative tile in a bathroom is an art, and this design is lovely. 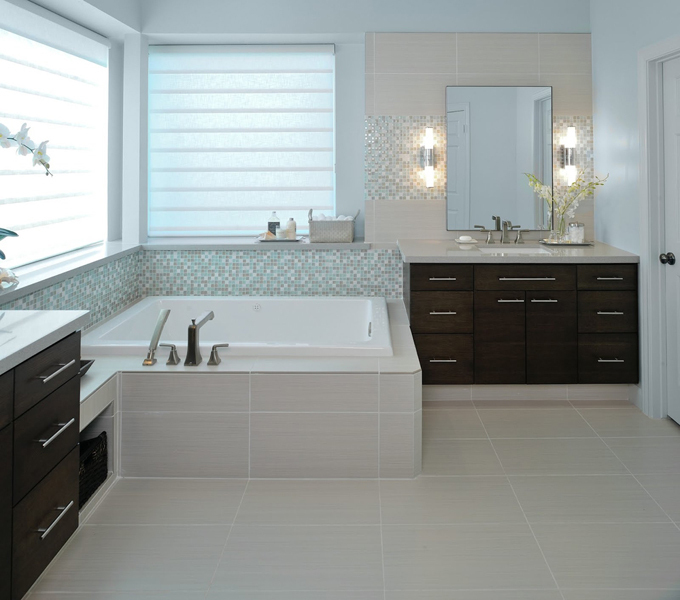 I love this bathroom and the fact that the tub is easy to access. Many are not! Cute doggy! 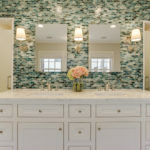 There are so many things to love about this bathroom – the separate vanities, the shampoo nitches, and the band of mosaic tiles. You nailed it Erin. Love the simple lines and soothing color choices. LOVE Carla and her work…wouldn't expect any less. I too am a fan of Carla and her amazing ability to create the kind of spaces you'd never want to leave. I think the wee dog is loving it too!! What a calming space – I am SO envious when I compare my peach and yellow "art deco" San Francisco bathroom with this spa like retreat! 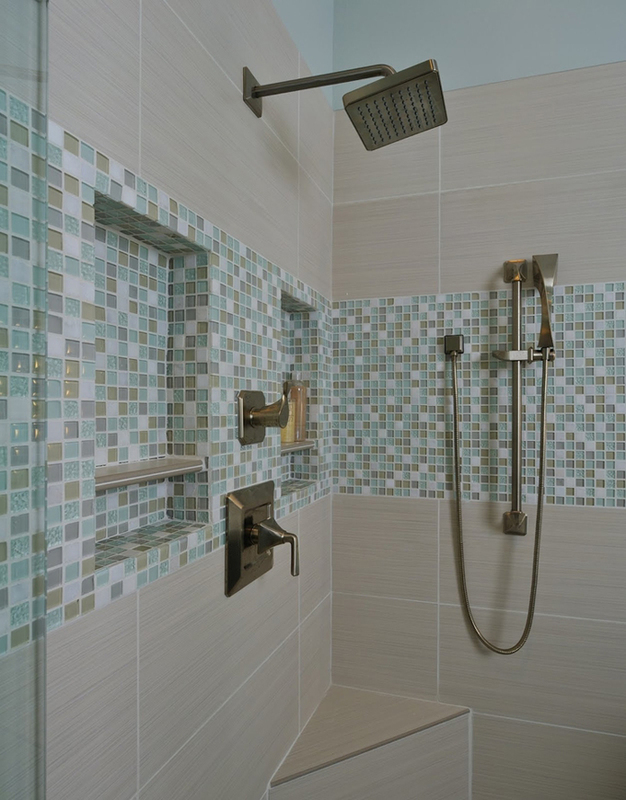 I really like the details inside the shower. I can't seem to comment. Lindo seu blog. Tenho visitado sempre. Como consegue tantas decorações com cor azul? How beautiful are those tiles? So soothing….. ahhh!! 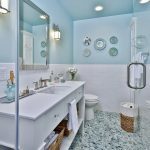 This before and after bathroom is beautifully done!